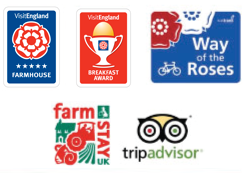 Whether you’re visiting the Yorkshire Wolds to explore Hockney Country, experience the historic city of York, discover the delights of the unspoiled countryside or simply to escape the rat race, you’ll soon discover why The Wolds are Britain’s best kept secret. Take time to discover the history, culture and charm of ancient York with its Gothic Minster, impressive city walls, lazy river cruises and exciting museums, including the National Railway Museum, Jorvik Viking Centre and Yorkshire Air Museum. You’ll find many historic houses and delightful gardens dotted around the landscape surrounding Greenwick Farm. Castle Howard (21 miles) is the most famous of these but many others demand a visit, including Sledmere House (8 miles), Burton Agnes Hall (18 miles), Sewerby Hall at Bridlington (26 miles), Breezy Knees at Warthill (12 miles) and the walled gardens at Scampston (18 miles) and Helmsley (31 miles). You’ll also find the National Collection of Hardy Water Lilies at award-winning Burnby Hall Gardens in Pocklington (6 miles). 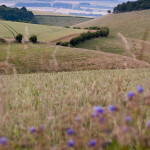 Many visitors are drawn here by the rolling landscape that inspired the artist David Hockney. 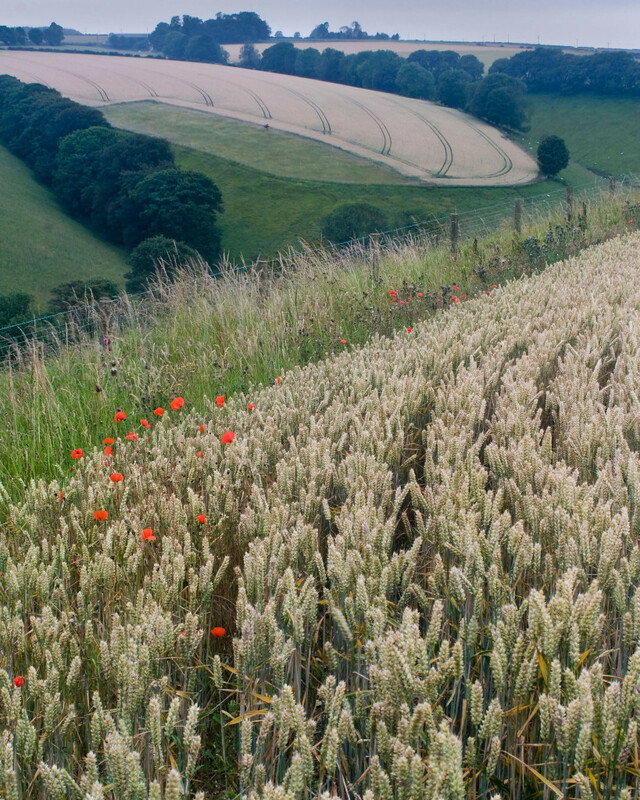 Greenwick Farm lies in the very heart of Hockney country and you’ll discover many of the views Hockney has painted just minutes from our doorstep, including Three Trees near Thixendale and views of Huggate and nearby Garrowby Hill. 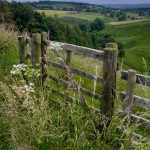 For walkers there are routes to suit all abilities, including the Yorkshire Wolds Way, Chalkland Way and Minster Way. If you’re planning to stride out on some of the long distance routes, we can arrange a pickup service and there are plenty of captivating circular walks too. We can provide packed lunches and space to dry and store muddy boots, rucksacks and all your walking gear. Cyclists and horse riders are drawn to our quiet lanes and gentle hills. 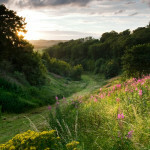 For cyclists there are trails such as the Way of the Roses, while the team at Ride Yorkshire are on hand to help you explore the Wolds on horseback. 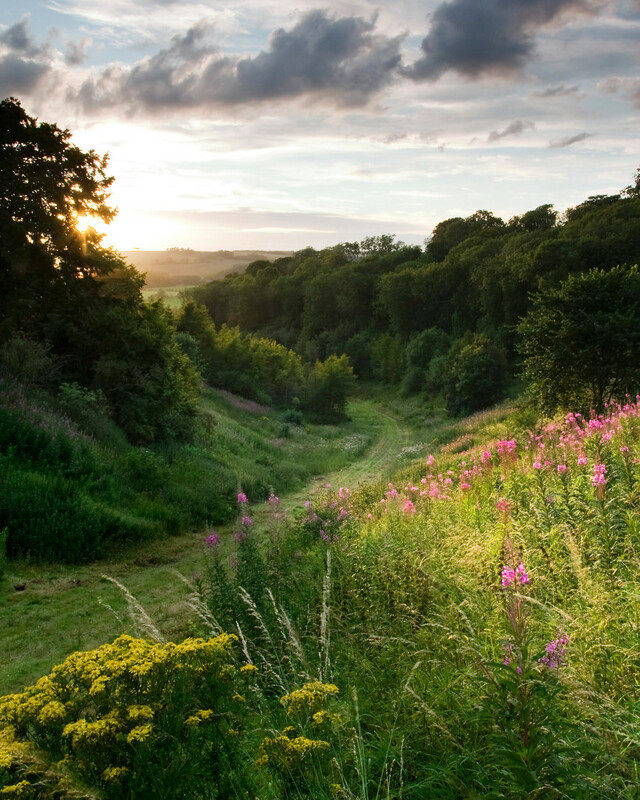 The Wolds are also home to the famous wildlife artist Robert Fuller of Thixendale, as well as renowned local photographer Paul Moon, those work captures the landscape so perfectly. Discover Paul’s techniques by booking one-to-one or group tuition with him. While you’re here, head east to discover the unspoiled Yorkshire coastline and traditional seaside resorts of Scarborough (27 miles), Whitby (45 miles), Filey (27 miles) and Bridlington (24 miles). The cliffs at RSPB Bempton (28 miles) provide the perfect place to spot gannets, guillemots, razorbills, kittiwakes, fulmars and puffins. Heading south, the historic port city of Hull (29 miles) is home to award-winning aquarium, The Deep. The medieval market town of Beverley lies around 20 miles away and is famed for its Gothic Minster. To the north lie the North York Moors and Dalby Forest with its Go Ape family adventure, while Flamingoland theme park (24 miles) provides a fun-filled family day out. The North Yorkshire Moors Steam Railway runs from Pickering (25 miles) through beautiful Yorkshire moors scenery while at Eden Camp near Malton (18 miles), you can re-live the sights and sounds of Britain during World War II. If a day at the races is more your scene, you’ll find excellent courses at York, Beverley, Ripon and Thirsk. The area is also home to many spectacular festival and events, especially in York and at Castle Howard, Burton Agnes Hall and Sledmere House. You’ll find steam fairs at nearby Driffield, country shows at Bishop Wilton and Driffield, irresistible food festivals at York and Malton and bustling farmers markets at Malton and Driffield. 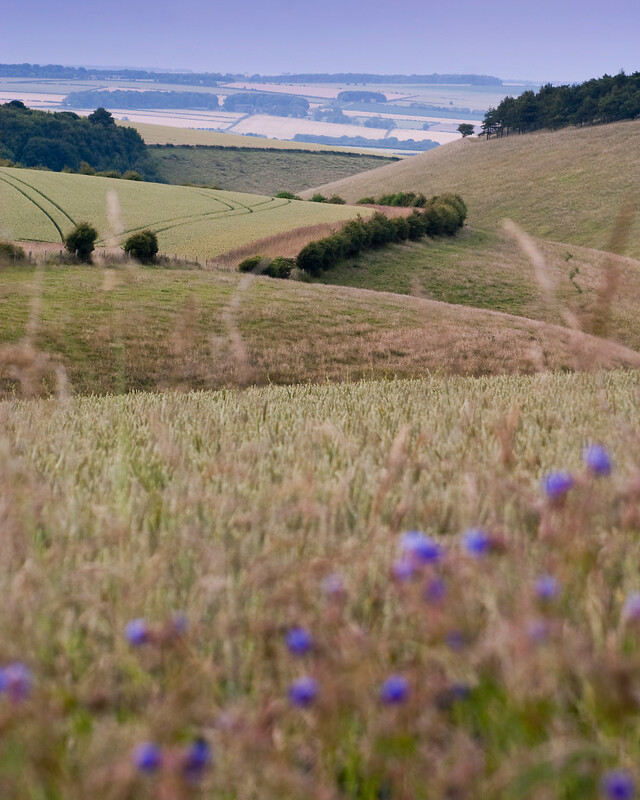 The Yorkshire Wolds Walking and Outdoors Festival includes over sixty events spread over nine days and is a mecca for lovers of the great outdoors. 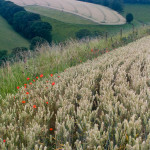 Visit www.visithullandeastyorkshire.com for the latest information. Only 25 miles from Hull City of Culture! 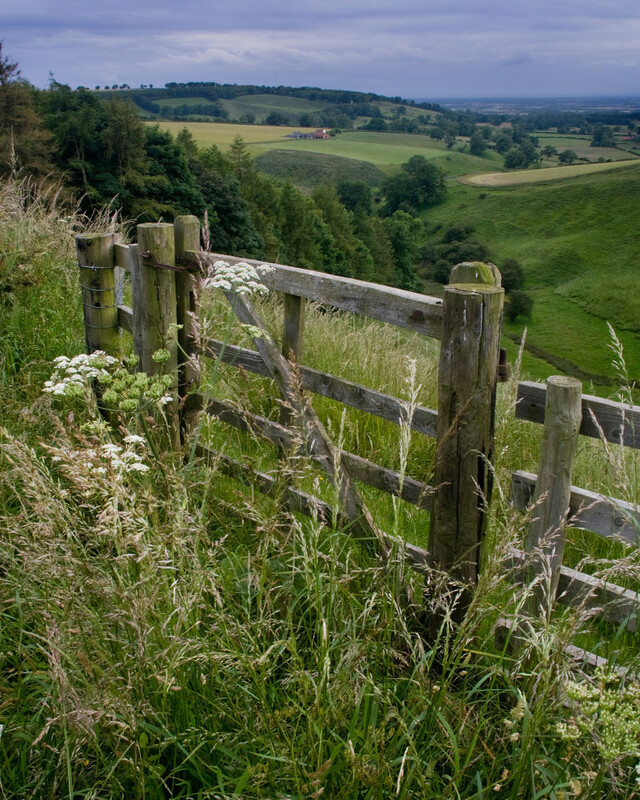 At Greenwick Farm you'll discover a peaceful retreat away from the hustle and bustle of everyday life that's perfectly situated for exploring York and the hidden delights of the Wolds.